We offer conversions of many file formats for our customers. One of our most popular conversions is PDF to ePUB formatting. Many of our authors come to us with PDF documents that they want to convert to ePUB format. The PDF file format is a very popular one in today’s digital world. It’s generally favored because it is supported on most systems. However, it can be tricky to convert to ePUB format. We are happy to offer conversions of these files. We can receive files of 35 MB via email. If your file is larger than that, please contact us and we can make arrangements for you to upload it to one of our servers or you can send it to us through www.dropbox.com or www.hightail.com at no cost. Please contact Bob at Bob@itglobalsolution.com to make arrangements for your files. Once we have your PDF, we can develop it into an ePUB book for you to post on various platforms. We specialize in these conversions and can modify and personalize your book to your preferences. We make sure to take care of all the details of the conversion, like validating the ePUB file format after conversion. We do this to ensure that everything in your eBook works properly. 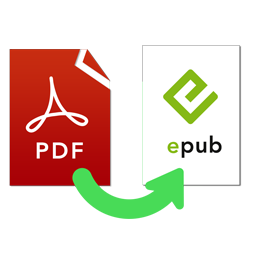 We are happy to convert PDF to epub format for authors, publishers and copyright owners. If the particular book you are having converted is no longer copyright protected, please submit the full publication details with the file. For more information or an estimate on your file conversion, please contact Bob at Bob@itglobalsolution.com or call the Supremus Group at (515) 865-4591. I must state the services that Global Solutions offers are excellent. I am a first-time author and retained their services to compile my book for Mobipocket which is the e-book division of Amazon. To begin with, Bob answered the phone on the first call. He was not only courteous but he was an expert on the products and services he offered and was able to quote an honest price immediately. He was also acceptable to various payment methods which make it easy for the buyer. He told me what be needed to do the job and the exact timeframe for delivery. He turned around my requirement within a day or two, and ahead of schedule. The quality of his work was superb and I would recommend him for any of the services he promotes for his business.